Applying Makeup to Contact Lenses?! Avoid waterproof mascara and eye makeup containing nylon or rayon fibers. These can lodge underneath the contacts and scratch the cornea. Eyeliner applied to the inner lid can clog tiny glands and lead to irritation and inflammation. Frosted or glittery eye shadows contain particles that can harm the eye if trapped underneath the contact lens. Oily makeup removers can cause a cloudy film over the contacts affecting vision and health. Remove makeup daily with a good makeup remover that works well with contact lenses. 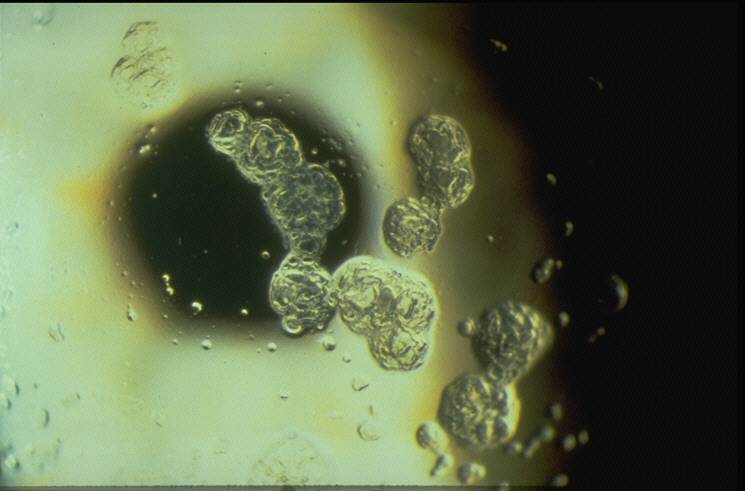 High-powered microscope view of contact lens deposits. 3) change the performance of the contact lens during wear. All three of the above mentioned complications caused by cosmetic buildup on contacts can affect comfort, consistency of eyesight and health of the eyes with contact lens wear. Other studies have also shown that cosmetic deposits on contact lenses can worsen dry eye symptoms and low-grade inflammation of the front surface of the eyes. 1) Insert lenses before applying makeup. 2) Remove lenses before using makeup removers. 3) Use proper contact lens materials that better resist deposits from cosmetics. 4) Use proper contact lens cleaners that do a better job of removing cosmetic buildup. 5) Use proper contact lens modalities that better resist deposits from cosmetics. 6) Dispose of mascara every three months. 7) Avoid the use of soaps with moisturizers when inserting or removing contacts. 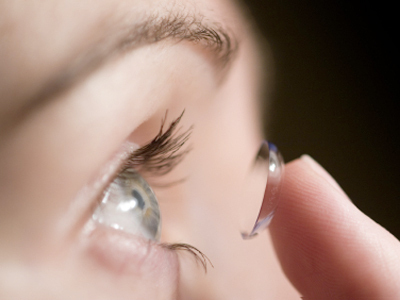 For more information on contact lenses and eye exams, please contact Bright Eye Care & Vision Development in Sugar Land. Visit Sugar Land Contact Lenses for more information.